Iforium, an Isle of Man based casino platform provider have been shortlisted at the eGaming industry’s most prestigious awards evening, the EGR B2B Awards. Following a rigorous selection process Iforium have been shortlisted in four categories and will contest the awards for RNG Casino Supplier, Innovation in RNG Casino Software, IT Supplier of Year and Best Customer Service. The EGR B2B Awards, now in its eighth year, rewards and celebrates the very best software and service providers in the online gaming industry. The awards are operated by eGaming Review. The EGR B2B Awards evening will take place at a gala ceremony at The Hurlingham Club in London on Tuesday, June 6th 2017. For further information please visit www.iforium.com. 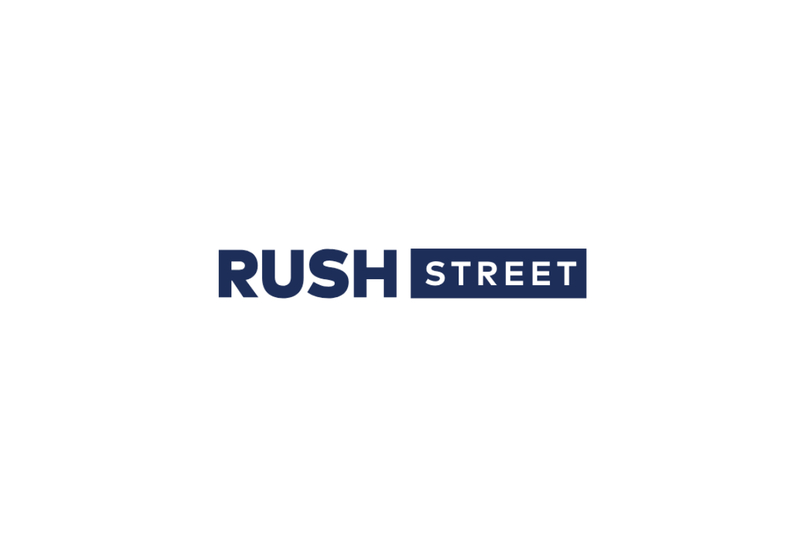 Rush Street Interactive (RSI) has been crowned ‘Mobile Operator of the Year’ at the EGR North America Awards 2019. The EGR Awards celebrate the best of the best in iGaming in North America and is one of the most prestigious recognitions in the online gaming and sports betting industry. Since launching less than three years ago, PlaySugarHouse.com Sportsbook & Online Casino has achieved exceptional revenue growth and is a significant contributor to March’s record breaking numbers, released earlier today by the New Jersey Division of Gaming Enforcement. “Despite the New Jersey online casino and sportsbook market growing by a staggering 43.7% month over month, PlaySugarHouse.com still exceeded this market’s growth rate in March,” Schwartz added. PlaySugarHouse.com’s sportsbook mobile platform is deeply integrated and operationalized to work seamlessly with Kambi’s sportsbook, which also was recognized by being named the Sportsbook Platform Provider of the year. The combination of Rush Street Interactive’s in-house mobile product & iGaming platform, leveraging the Kambi sports solution, makes for a winning combination as being proven in the New Jersey market. The EGR North America Awards 2019 were announced at a reception in Atlantic City, New Jersey. Rush Street Interactive (RSI) was founded by pioneers in the internet gaming industry with decades of collective experience in developing, supplying and operating online gaming sites. The Chicago-based business launched its first casino site, PlaySugarHouse.com in NJ, in September 2016 and, in August 2018, it added an integrated sportsbook. Rush Street Interactive is also the service provider of the sportsbooks at Rivers Casino Pittsburgh and SugarHouse Casino in Philadelphia. Additionally, RSI was the first U.S. gaming company to launch a regulated online sportsbook in Latin America. Rush Street Interactive is also the developer and operator of a leading social gaming platform that is currently deployed at Rush Street-affiliated casinos (Rivers Casino in Pittsburgh, SugarHouse Casino in Philadelphia, Rivers Casino in Des Plaines, Illinois and Rivers Casino and Resort in Schenectady, New York), as well as selected third party partners. For more information, visit https://rushstreetgaming.com/interactive. It has been a hard and stressful period for some of the companies who battled daily by reaching out to their clients base and asking for feedback via votes to help them climb the charts and be included in the shortlist for inaugural Baltic and Scandinavian Gaming Awards (BSG Awards). During March, the industry had the chance to cast their votes online for their favorite operators, software suppliers, and connected service providers and help them reach the Top 5 for their respective categories. The online voting closed on the 31st of March at midnight and we are happy to announce that a total of 28641 votes have been submitted during the session and all companies who made the shortlist should feel proud about this achievement. “With the inaugural Baltic and Scandinavian Gaming Awards, which is part of MARE BALTICUM Gaming Summit, we have implemented a new voting system that has further increased the transparency of the session. We are happy to say that many companies have expressed their gratitude about the transparency of the awards and we would like to congratulate every company who has made it to the shortlist and even those who haven’t for their commitment to the awards. We now head to Vilnius for the final stage where the attending delegates of the conference will cast their votes to decide the winners of each category, continuing the mission of giving the jury authorship to the industry when it comes to deciding the winners.” commented Zoltán Tűndik, Co-Founder, Co-Owner and Head of Business at European Gaming Media and Events. 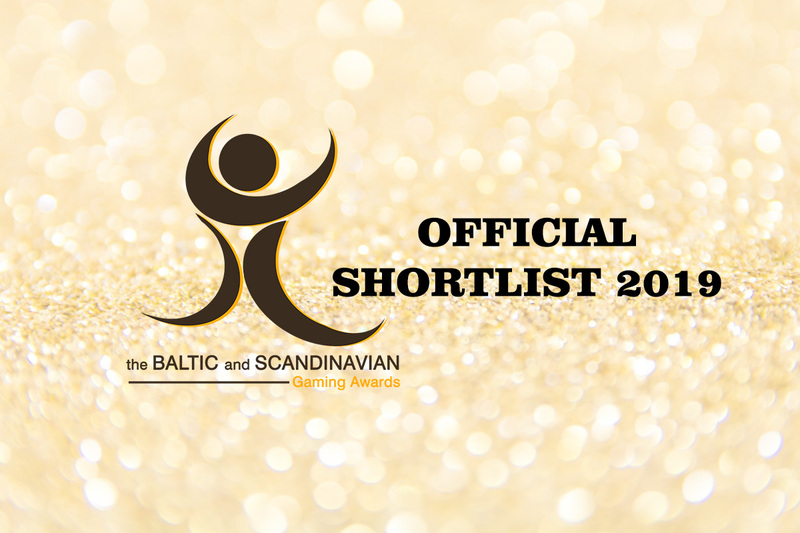 The shortlists for each category can be found below and as mentioned in the statement, the winners will be decided by the attending delegates via final voting session at the second edition of MARE BALTICUM Gaming Summit, which will take place on the 9th of May in Vilnius, Lithuania at Radisson Blu Royal Astorija Hotel. All attending delegates of the MARE BALTICUM Gaming Summit will get the chance to vote for their favorites to determine the winners at the inaugural Baltic and Scandinavian Gaming Awards. All shortlisted companies are invited to register and attend the conference! GamblingCompliance has announced the official shortlist for the Global Regulatory Awards 2019. 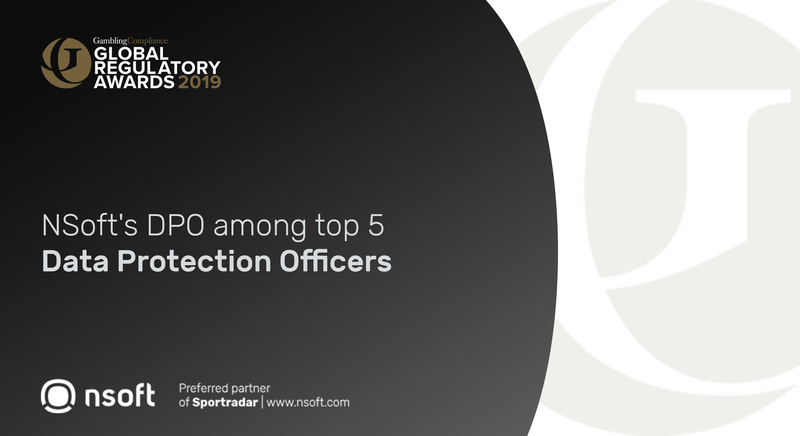 NSoft is proud to announce that Mr. Zlatan Omerspahić, NSoft`s Data Protection Officer (DPO), has been shortlisted in the category: Data Protection Officer or Team of the year. The nomination complements to all activities Mr. Omerspahić and NSoft, as a company, performed in order to not just be in compliance with the GDPR, but to promote the importance of data integrity and data protection per se. The GamblingCompliance Global Regulatory Awards 2019 will take place at De Vere Grand Connaught Rooms in Central London on May 1st, 2019. This year’s event will host over 400 industry specialist who will celebrate the success of the best ones in 17 award categories. “This nomination and the awarding ceremony will actually be a wonderful way to celebrate my work anniversary at NSoft which is also on May 1st. I am looking forward to the event,” concluded Mr. Zlatan Omerspahić. To find out more on NSoft contact us at info@nsoft.com or visit NSoft web site and book a meeting.